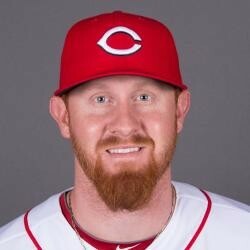 Free agent minor leaguer Nate Adcock has signed a new deal with the Cincinnati Reds. Adcock, who appeared in seven games for the Rangers last season, has signed a deal with the Cincinnati Reds. Adcock had no record and a 4.50 ERA in seven relief appearances. He had previous major league experience with the Kansas City Royals in 2011 and 2012.